Virginia Governor Ralph Northam spoke at the Governor&apos;s Mansion in Richmond on Saturday. Virginia Governor Ralph Northam said he’s “not going anywhere” but that the Democratic lieutenant governor, Justin Fairfax, may have no option but to resign if accusations of sexual assault are determined to be true. The comments come after a week of turmoil in the commonwealth that one opinion poll shows has residents evenly split over the best course of action for Virginia’s top elected officials, and as President Donald Trump and other Republicans weigh in as well. The sit-down with CBS was the Democratic governor’s first television interview since a racist photo in his 1984 medical school yearbook emerged on Feb. 1, prompting leading Democrats to call for Northam’s resignation. He vowed this weekend in the interview with CBS and with the Washington Post on Saturday that he’ll finish his four-year term in office and use the time to pursue an agenda of racial reconciliation. 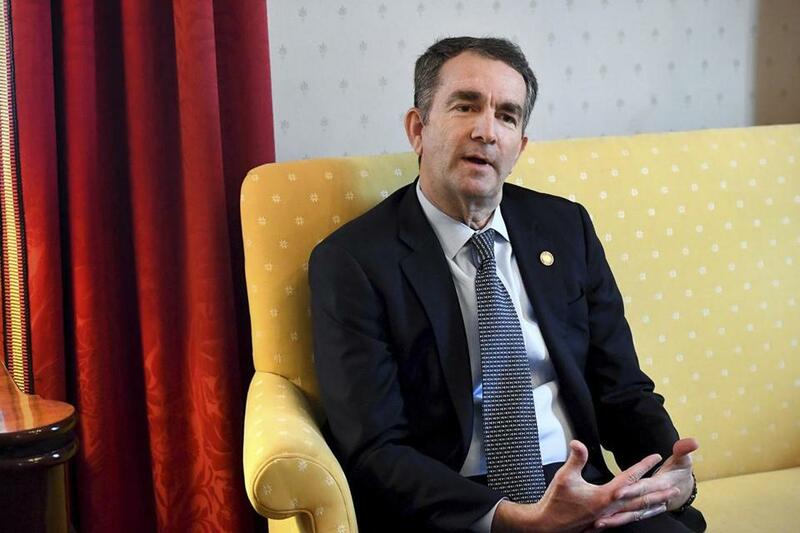 Most of Virginia’s Democratic Congressional delegation and prominent national Democrats, including 2020 presidential candidates, called for the governor to resign after the racist photograph surfaced. Virginia Lieutenant Governor Justin Fairfax was at the State Capitol in Richmond on Monday. Northam’s page in his medical school yearbook showed a person in blackface and another in Ku Klux Klan robes, but he says neither person was him. Northam said in a press conference a week ago, though, that he’d once darkened his skin to take part in a Michael Jackson dance competition. Since then, the state’s No. 3 official, Attorney General Mark Herring, also admitted to appearing in blackface while at the University of Virginia in 1980. On Saturday, in the interview with the Washington Post, Northam couldn’t explain why he initially took responsibility for the 1984 photo, only to reverse himself within a day -- other than to say that he was “shocked” when he first saw it on an iPhone. 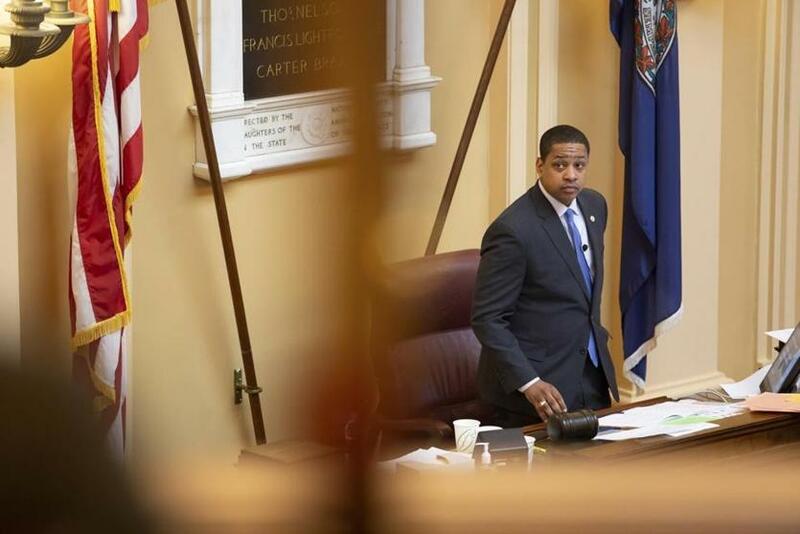 Democratic Party leaders have demanded that Fairfax resign, and one state lawmaker has said he’ll start impeachment proceedings if that doesn’t happen. Fairfax has asked the FBI to investigate the assault claims against him. Separately, Duke University said it’s investigating a sexual assault allegation dating to 2000 against a former basketball player, which was made by one of the women who’s accused Fairfax. Northam told the Washington Post he’s asked his cabinet secretaries to come up with specific proposals to begin addressing issues of inequality, such as expanding access to health care, housing and transportation, and to begin reporting those suggestions on Monday. Republicans, including Trump, have predicted the scandal plaguing Virginia’s top Democratic officials will give them the opportunity to make political gains in a state that’s increasingly voted for Democrats in recent elections. Trump tweeted on Sunday about “the double standard” in Virginia, where white officials who’ve admitted to wearing blackface now stand in judgment over the state’s highest ranking African American. Democratic lawmakers from Virginia have called on Fairfax to resign, as have Democratic senators Kirsten Gillibrand of New York and Cory Booker of New Jersey -- both 2020 presidential contenders -- among others. Even so, a poll conducted Feb. 6-8 for the Washington Post found residents split over Northam’s fate, with 47 percent wanting him to step down and an equal number saying he should stay on. Support was higher for Northam among black residents, who by a margin of 58 percent to 37 percent said he should serve out his term. White residents were more evenly divided, the poll found. Additional portions of the interview with Northam are scheduled to shown Monday on “CBS This Morning,” the network said.